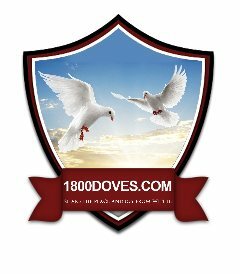 You can book your doves out as far as +2 years in advance. The more advance notice we have, the more likely we will be able to serve you. 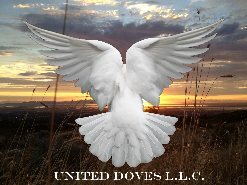 If you are ready to book a white dove release, please fill out the entire form below. Effective May 1, 2018. Due to the large volume of dove releases that are booked through this system, we no longer offer the option to have a representative on site. No worries. The nationwide delivery option is still available for the two most popular packages offered which are 2, and 4 bird qty. Please Note: We require at least (4) days advance notice, due to logistical purposes. In addition, Wednesday of each week is the cutoff day for booking dove releases that will take place over the weekend. We are firm on this rule, no exceptions. Also our birds can only be released WED-SUN of each week. We cannot service requests that take place on a Monday, or Tuesday, due to logistics technicalities. If your request does not give us at least 4 days advance notice, please do not take the time to fill out the form, since we will be unable to service your request due to time restrictions. OUR SERVICES ARE ONLY AVAILABLE WITHIN THE USA- LOWER 48 STATES. NO SERVICES AVAILABLE OUTSIDE THE USA. NO SERVICES AVAILABLE IN CANADA AT THE PRESENT TIME. 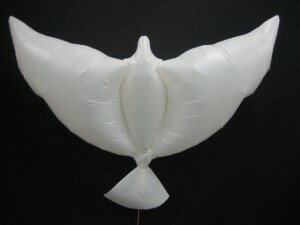 Does your request for these doves give us at least 4 days advance notice? Please answer Yes or No. Please select from the following 4 options we have available in your area. I'm ready to finalize my order. I will pay using the secure option below after I have submitted this form. I understand that by paying it secures and guarantees the availability for my doves without any delays. I understand that my order is not complete until I finish the last step by paying for the birds using the secure option located on this page. I also acknowledge and understand that should I cancel my order after having paid I will receive a full refund less the non refundable $74.99 shipping fee which is associated with the preparatory logistics and delivery work associated with the birds for your event.